Simple, smart and catchy. These are the features of ideal domain name. The users should remember and type it easily. Search engines should consider it relevant to your niche. The best choice is to buy a domain name that has some keyword related to your niche. The less words contains your domain name, the better. Of course, most one word domain names are already taken. Thus, it is high time to brainstorm and create the domain name that suits your project the most. To use your brand for domain name can be enough if your company is already well-known in your region or all over the world. The people will type it in and find your web site. They already know the services you provide or goods you sell. Your brand is popular and has strong associations with your product. However, if you just start your campaign and choose smithcorporation.com for your domain name, it won’t bring you enough recognition. You need more money to invest and more time to spend before search engines as well as your potential customers add your website to their top list. The potential visitors always look for products, services and information. They are looking for themes. It is better to use the word car if sell cars, the word dog if you provide dog training tips, etc to attract your target audience, than just use the name of your company. You also should make your website name easy-to-remember. In this case you should rely on the classics – Pride and Prejudice, Sense and Sensibility, Paramour Pictures. As you can see these names are well-known and sound perfect. No one expects you to create a masterpiece. Just use several rules to create the best domain name. When you use two words try that they will begin with the same letters or have similar sounds. Pronounce them to find out whether you can remember it easily. Simplicity is a must. Sometimes even simple words can be arranged in such way that it is not so easy to remember them. The above mentioned samples help you to choose the best. If you have no ideas, you can use some special tools that generate domain name suggestions depending on the keywords you want to use. Your task is to define which keywords you need and what domain name will be perfect for you. The best choice for SEO is to use domain name that contains your brand and some keyword. It will be perfect if your brand name also has some keyword related to your niche. Try to avoid too general keywords that are understandable for you only. For example, you decide to register a domain name like applelion.com. It can be associated with apples and lions. But what if this site is about art galleries or martial arts? It can be the name of your best picture posted there. However, neither search engines, nor your potential visitors know about it. Thus, the best formula is keyword from your niche plus some catchy word. You also can buy exact match domain name that contains no brand, just keywords related to your niche. For example, if you want to create a small website about cars you can use smartcars.com or fastcars.com. Such domain names will be better for SEO to improve your ranking easier. Avoid hyphenated domain names that will distract your visitors who won’t remember the position of hyphens. Thus, some of your visitors can be transferred to similar named websites, but without any hyphens. What is more, such domain names also are not best solution for search engines. They can look “spammy” and are too long to remember. Top Level Domain Name is a Must? 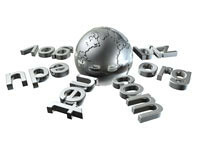 Of course, top level .com domain names are the best choice for your project. Such domain names has better rankings in search engines. 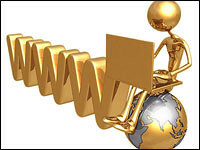 However, it is not the only solution to rely on choosing the level of domain name. Just try to buy .com for your main website and then you can afford any other domain names for your satellites or for not so important projects. If you are not targeting any specific country you can choose .com, .net, .org as well as .info domains. With .com domain being the most popular you also can choose .fr for France, .it for Italy, .de for Germany, etc if you are going to target a specific country. Note that such country domain names won’t perform well outside your target country. Think twice before choosing such domain names, because your business can expand. Today most web hosting companies offer you to get web hosting plans with domain names included. Some of them offer you domain names registration for extra payment while others provide you with up to three domain names for free. It is the simplest way to register a domain name and buy web hosting plan for your project. However, some people suppose that to have all in one is not the best option. In case your web host appears not to be too perfect for you, the domain name registered somewhere else still be yours. And vice versa. Most web hosting companies allow you to transfer your already registered domain name to host with them. Anyway, it is better to register your domain name with web hosting provider with the opportunity to transfer it to another host if some problems occur. Deciding to register your domain name with a domain name registrar guarantees you that you are the owner. Some people prefer such type of domain name registration to be sure that some extra fee won’t be applied in the future by their host. Anyway, it is more time consuming for you than registering with web hosting provider. What is more, it can be more expensive as well, especially when most web hosting companies offer you a domain name for free. The other problem that may occur when you choose a domain name is that it is already registered. You have two options – to find another one or to spend some cash and try to re-buy it. Domain flippers are ready to re-sell domain names that can already have traffic. However, being “live” for sometime such domains also can have some dark history that is undesirable for your brand. There are so many ideas that your ideal domain name can be created for sure. Just use the tips provided to create a web site with domain name that attracts attention and easy to remember. When all the ideas gone and nothing special is on your mind, try to switch from basic concepts to more specific themes.